Today we went to Ibaraki Prefecture to look at bridge damage from the March 11, 2011 Tohoku Earthquake. Japan is divided into prefectures like Ibaraki and also into regions like Kanto, Kansai, and Tohoku, which is in northeast Honshu (one of the four islands in Japan). 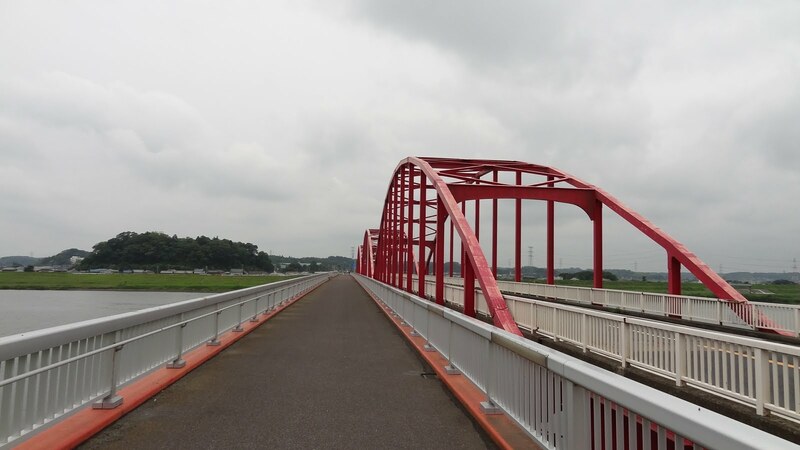 The Kousaki Bridges had minor damage from an earthquake that stretched 700 km from Iwate Prefecture in the northeast to Chiba Prefecture in the southwest. The bridges were open for two months and then an engineer discovered some of the piles were broken (due to lateral spreading) and closed the highway bridge (the pedestrian bridge remains open). Japan's Bridges: Kouzaki Bridges across Tonegawa in Ibaraki by Mark Yashinsky is licensed under a Creative Commons Attribution-NonCommercial-NoDerivs 3.0 Unported License.